Despite Oregon’s reputation for constant rain and wet conditions, Bend actually enjoys ample sunshine due to its high desert environment. This makes it ideal for golfing—so much so, that Bend has earned the nickname, “the Palm Springs of the North!” It boasts three of America’s 100 Greatest Public Courses as ranked by Golf Digest. Read on down below to learn more! Bend Golf Courses suit all skill levels, experience levels, and budgets. Awbrey Glen Golf Club is located near downtown Bend, and presents a unique experience. It offers visitors the option of being a “member for a day” of the oldest private golf club in Bend. This course features designs from Bunny Mason and David McLay Kidd. It has also been the site of several opens, including the 1996 – 1998 PNWPGA Northwest and 2011 PNWPGA Oregon Open. Situated within Brasada Ranch, Brasada Canyons Golf Course is an elegant and challenging eighteen-hole course. It that takes players on an invigorating journey across Brasada Ranch’s distinct canyons, featuring panoramic views of the Cascade Peaks. At Brasada Canyons, every player can use the steam rooms, complimentary carts, and private lockers. Another bonus of playing here: junior golfers play for free during the afternoon with paying adults! This makes it easy to turn golfing into a family outing if desired. A Jack Nicklaus-designed course, Pronghorn Resort is a true masterpiece of golfing innovation that combines the beautiful natural elements of Bend with challenging gameplay that will inspire you to bring your best techniques and strategies. This eighteen-hole, par 72 course showcases details like stunning views of the Cascade Mountains, lava rock ridges that are thousands of years old, and more. Another fantastic one of Bend Oregon golf courses is Tetherow. Ranked by Golf Digest as one of the Top 100 Courses, this ingenious course was designed by none other than David McLay Kidd. It boasts eighteen unique holes and breathtaking views, as well as a convenient location that’s about five minutes away from downtown Bend. Wrapping up our list is The Old Back Nine, a family-friendly nine-hole course that is well-maintained and features spectacularly views. Golfers of all ages are welcomed here, with lessons available and an easy playing pace that encourages you to take it all in. 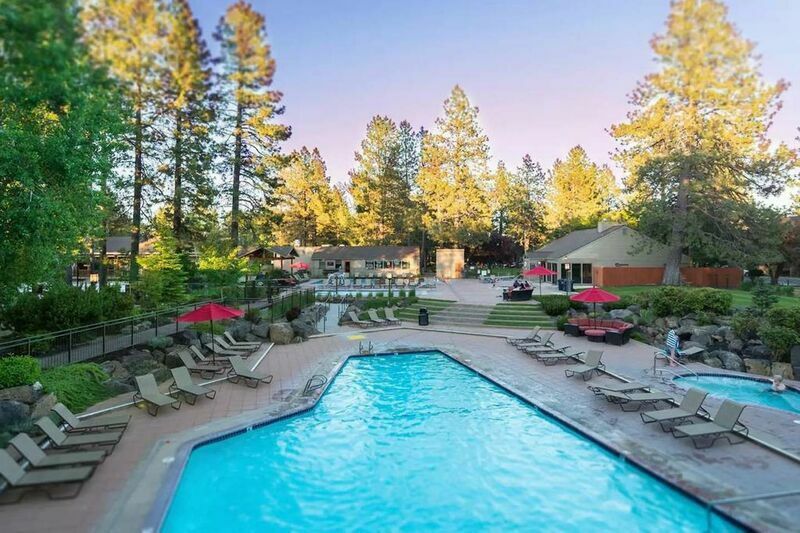 Contact our reservations team for further details on Bend Oregon golf and other enjoyable sports, activities, and attractions that await you in Bend when you book your lodgings in one of our picturesque vacation rentals today!